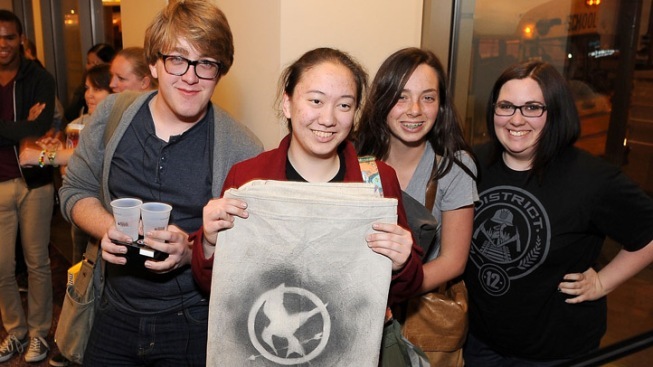 Crowds Expected for "The Hunger Games"
Katniss Everdeen is a hunter-turned-warrior who's thrown into an arena with 23 other kids for a battle to the death and there will be plenty of San Diegans rooting her on when the much-anticipated movie "The Hunger Games" opens Friday. The movie and its all-star cast is coming to San Diego County with special midnight screenings scheduled around town. As part of its midnight screening Hazard Center Ultra Star Cinema decided to pair up a food drive. Any guests bringing canned food will get a promo popcorn in exchange. One of the cinema's theater rooms has 24 D-Box seats providing movement which will make you feel part of the movie. "Hunger Games" co-star Elizabeth Banks dishes on her role as Effie Trinket and why costar Jennifer Lawrence was perfectly cast. "The Hunger Games" has drawn such a huge crowd that at around noon Thursday there were already 20 people in line at Edward Cinemas in Mira Mesa waiting for the midnight show scheduled there. AMC expects lots of spectators to show up all across the country. “It’s a lot of fun to see all the excitement,” spokesperson Ryan Noonan said. For those who can’t make it to the midnight screening they may be able to score tickets for the 3 a.m. show in Mission Valley, playing in IMAX. 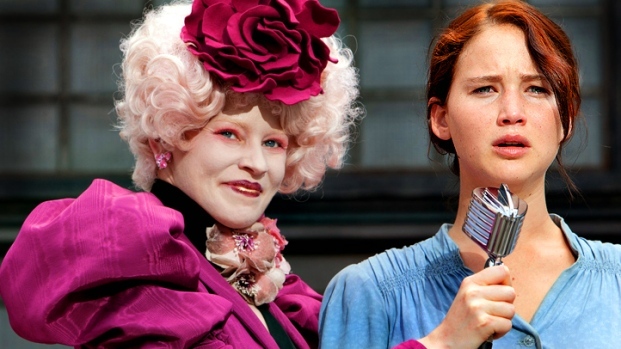 Are you excited for The Hunger Games? Comment below, send us your thoughts via Twitter @nbcsandiego or add your comment to our Facebook page.